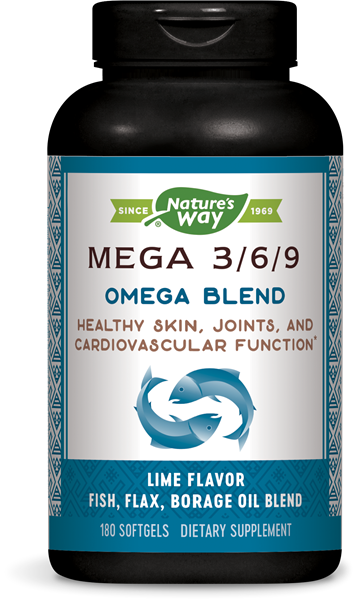 Mega 3/6/9 Blend 1350 mg / 180 Softgels - Nature's Way®. 500 mg Omega-9 potency from extra virgin olive oil and borage oil. Take 3 softgels daily. If pregnant, nursing or taking any medications, consult a healthcare professional before use.